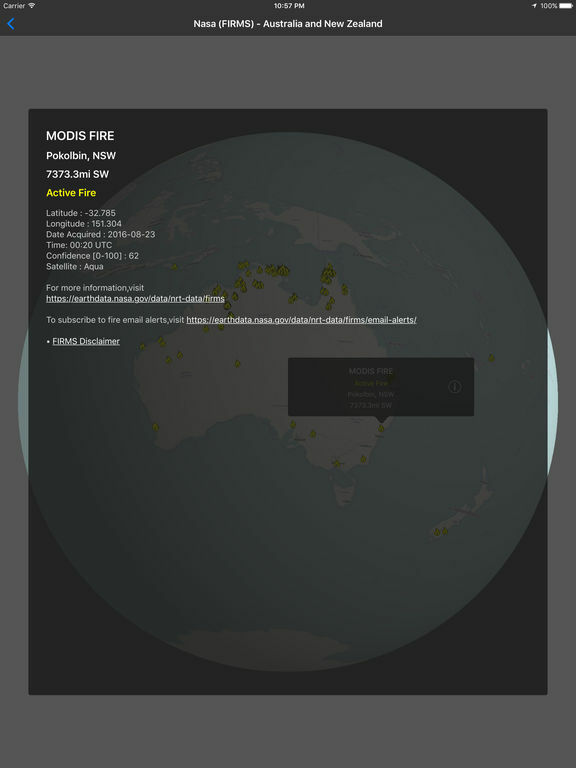 Download Fires - 3D Fire Map free via AppsHawk. 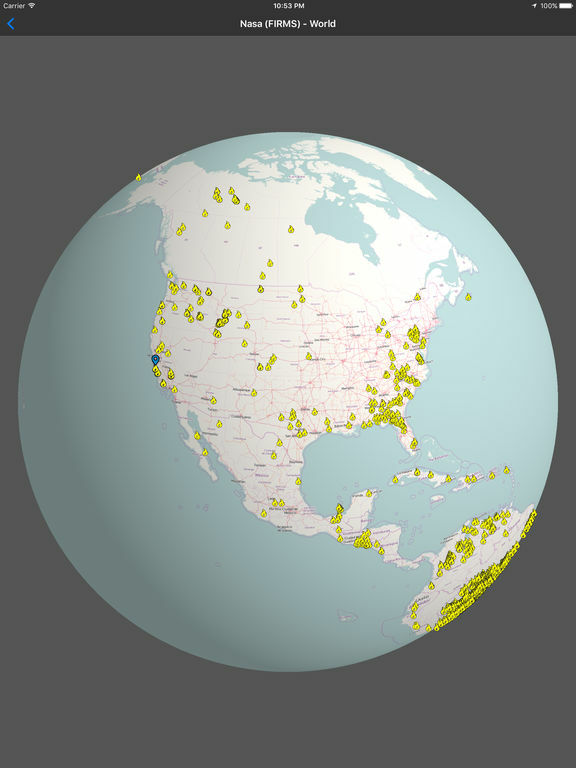 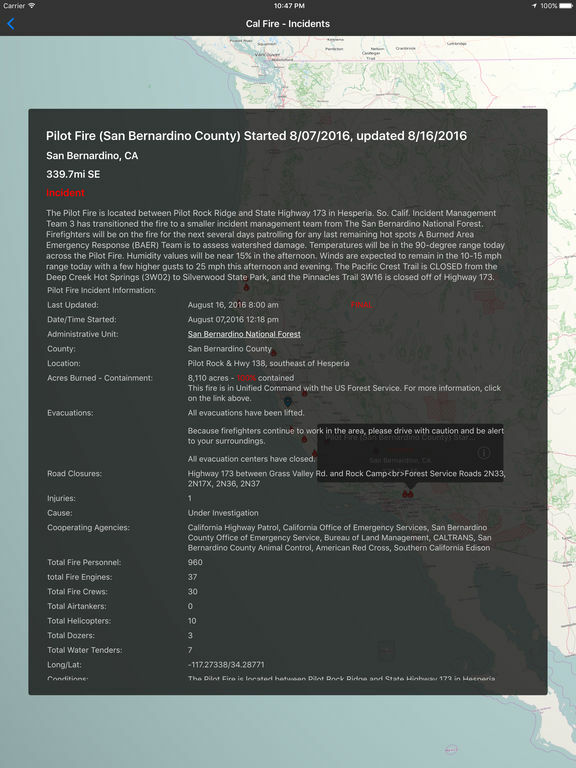 Fires presents 3D visualizations of worldwide fire data from multiple sources including the USDA, NASA, and Cal Fire on an interactive virtual globe. 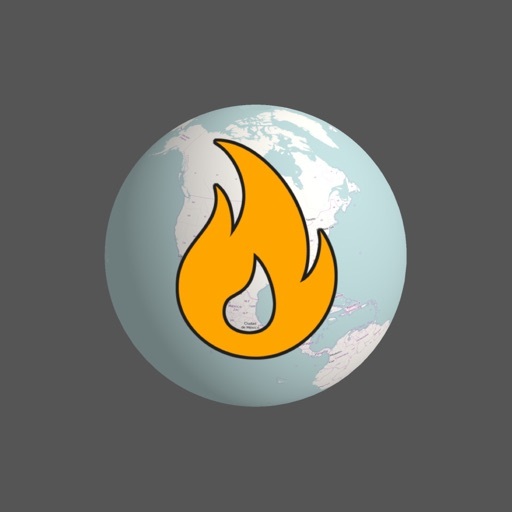 Whether youâ€™re monitoring a nearby wildfire and want the most up to date information on fire detections, checking your current weather and fire weather conditions, or youâ€™re just curious about the amount of fires in a certain area (anywhere), this app is for you. The app relies on information taken from third-party feeds, and we are not responsible for the accuracy or lack of data being presented. 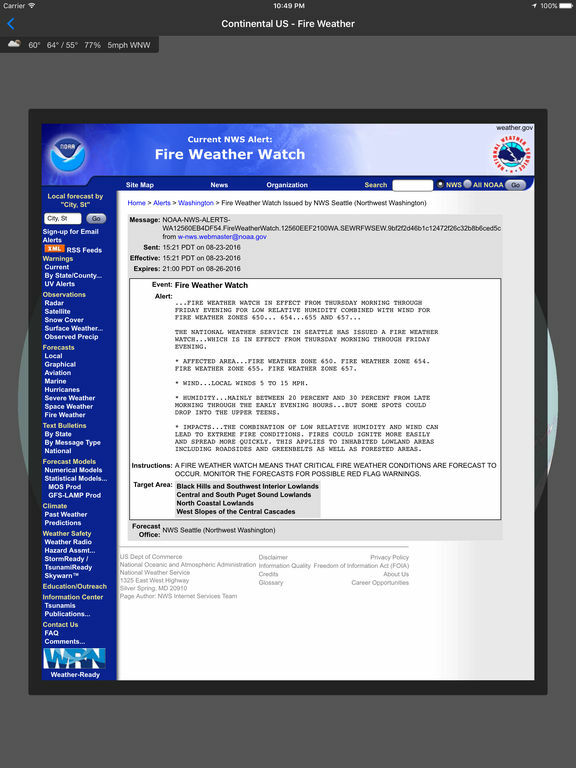 There is no login required, no ads, and no collection of personal information.